You can have an aero bike or you can have a comfortable bike – you can’t have both. This has long been one of the accepted realities of the aero road bike category. Sure they’re fast, but staying in the saddle for 5+ may not be the most comfortable experience. 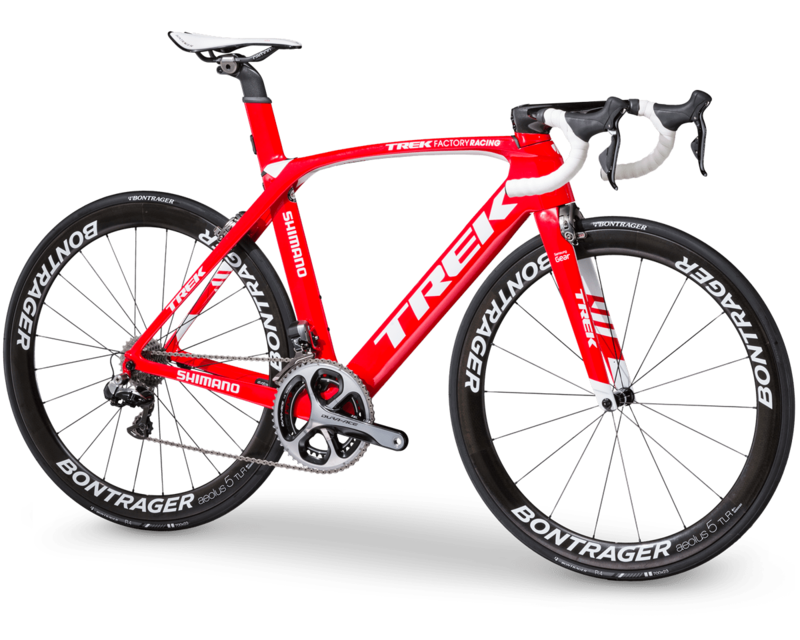 Trek has heard this one too many times and decided that this would be the challenge the new Madone was built to meet. 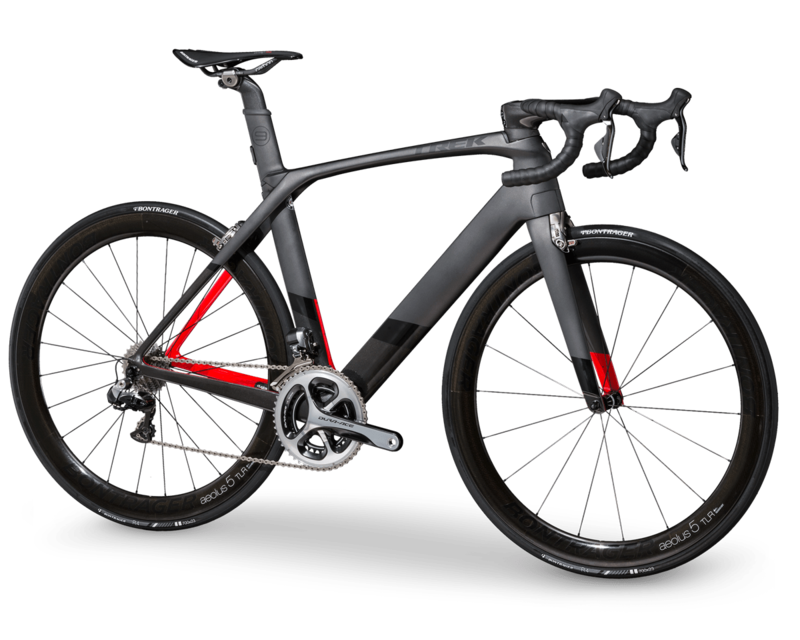 Trek set out to build a bike with unparalleled aerodynamics and unmatched ride quality, and the 2016 Madone is the result of that effort. 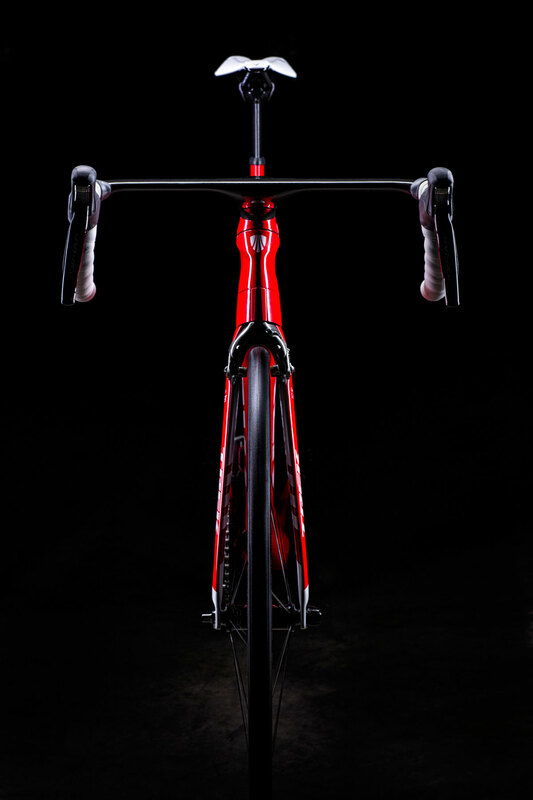 The first thing you notice when you see the 2016 Madone is the cable-free front end of the bike. 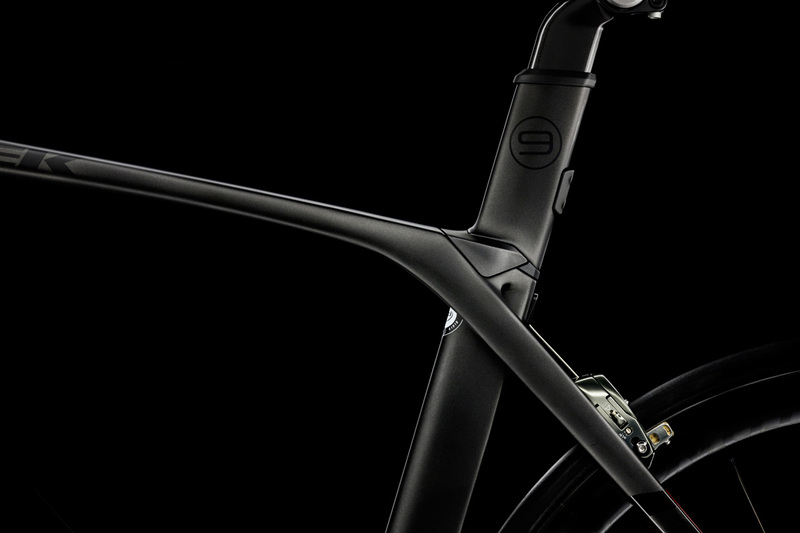 Starting at the top, you’ll find the integrated aero bar and stem. 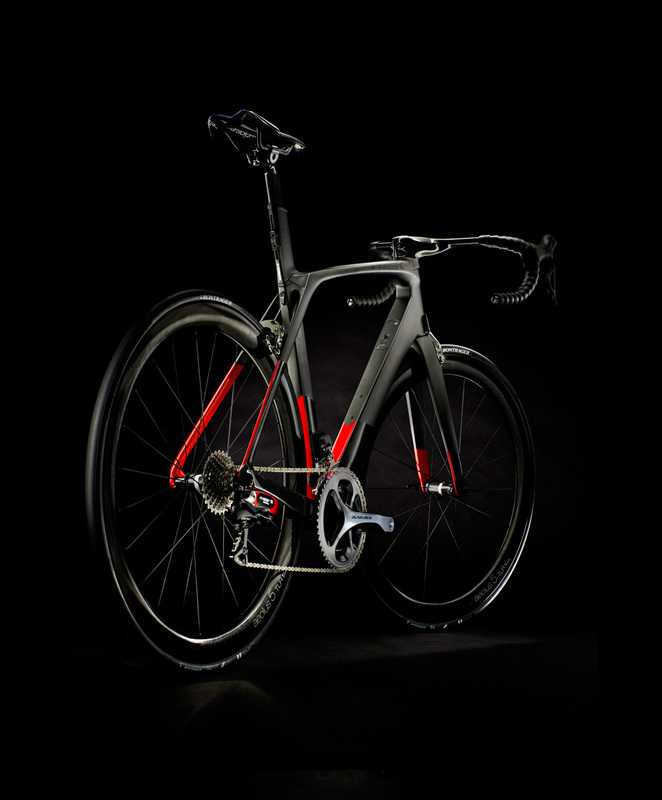 This is the result of Trek’s goal to leave “no stone unturned, no cable in the wind.” The integrated bar uses Kamm Virtual Foil (KVF) tube shaping, which was first introduced on the Speed Concept to improve the aerodynamics over a separate system. Keeping the housing fully internal through the head tube required the design of an integrated top cap cover and spacers. The headset spacers use a two-piece clamshell design for easy adjustability, allowing addition or removal without rerouting any housing or cables. 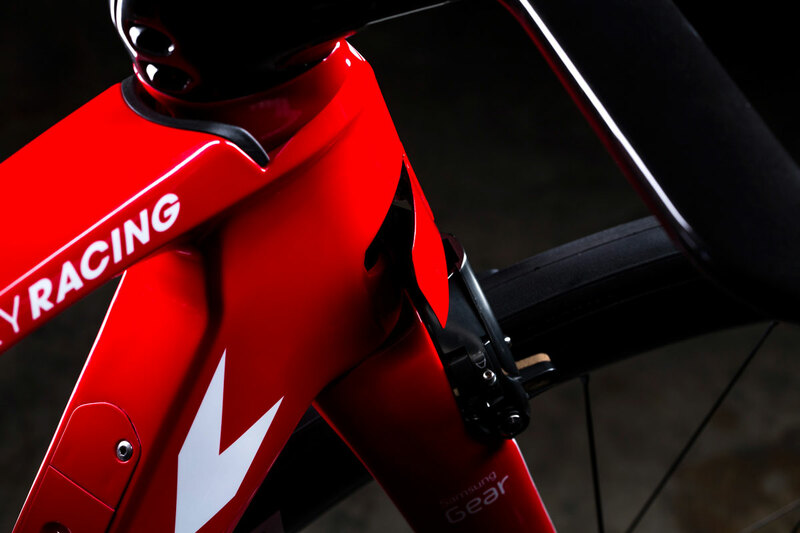 The fork uses aerodynamic KVF legs, cheating the wind at all yaw angles while maintaining stiffness. The fork crown is pocketed out for smooth integration with the front brake, and the fork uses a proprietary steerer tube shape to allow internal routing of the housing through the top headset bearing. The brakes have been designed to seamlessly match the fork and seatstay surfaces, integrating with the recessed areas and allowing air to flow smoothly over the entire surface. The housing of the front center-pull brake is routed down the front of the steerer tube through the head tube and to the brake, all fully internal. The brake arms use independent spring tension adjustment screws to center the brake pads and adjust lever pull force to the desired feel. Additionally, two spacing screws allow for precise pad adjustments as brake pads wear. The spacing screws’ range allows swapping between rims with up to 6mm difference in width without adjusting the center wedge. 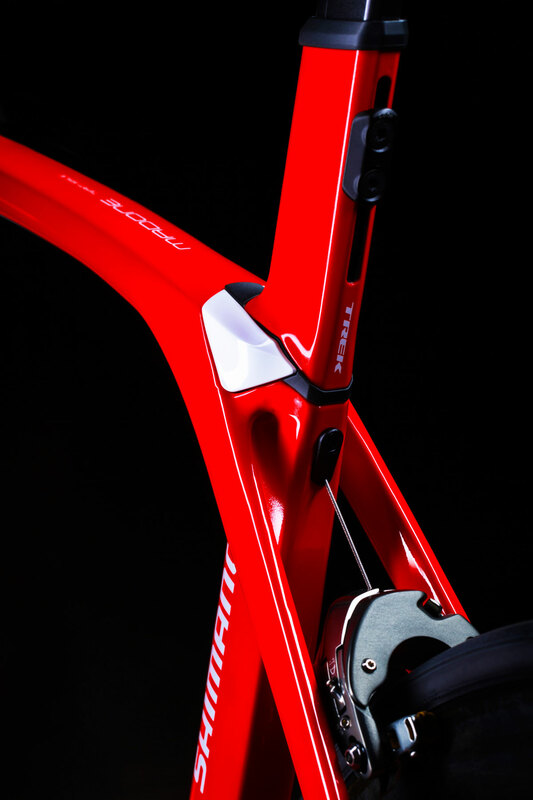 Madone’s Vector Wings protect the front brake from the elements to ensure consistent braking function. To accommodate the function of the center-pull brakes, the Vector Wings articulate during turning in order to allow free rotation. On the downtube is the Madone’s “Control Center.” On mechanical set-ups, the Control Center houses the front derailleur trim dial. For electronic set-ups, the Control Center houses the Di2 battery port and junction box in one location, providing access to the trim button through the window in the top of the Control Center. Below the control center are the water bottle bosses. The locations have been optimized so that the front bottle offsets drag for the rear bottle. The Madone features an integrated chain keeper that has also been aero optimized (talk about “sparing no expense”). All of the above features aid in the goal to achieve unparalleled aerodynamics. 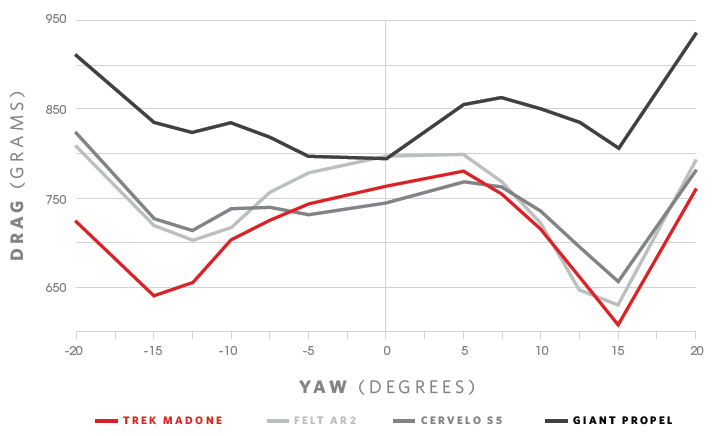 While the Madone doesn’t beat its competition at every yaw angle, it does come close. But what about the goal of unmatched ride quality? That job falls to the Madone IsoSpeed Decoupler. First shown on the Trek Domane, the IsoSpeed Decoupler separates the seat mast from the toptube and allows the seat tube to rotate independently from the top-tube-to-seatstay junction, increasing vertical compliance without compromising pedaling efficiency. Using the IsoSpeed system freed up the seatpost to use KVF technology, matching the seat tube profile. The seatpost head uses an independent pinch bolt and rail clamp system to allow for infinite tilt and setback adjustment. 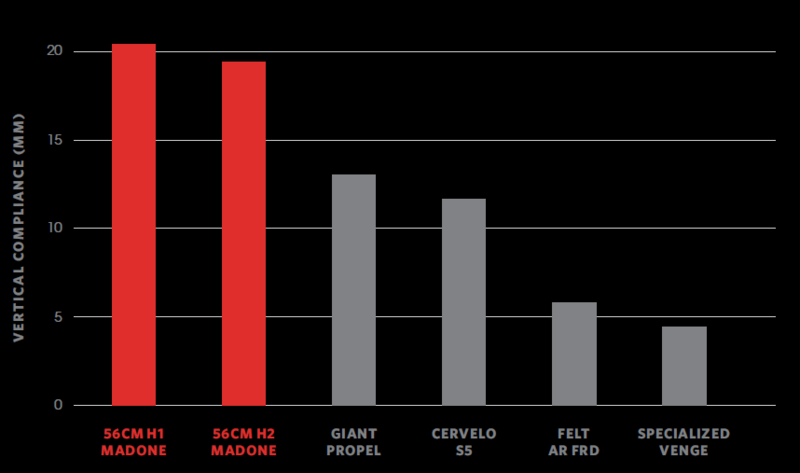 At launch, the Madone will be available in three builds – 9.2, 9.5, and 9.9, plus a special Madone Race Shop Limited build. 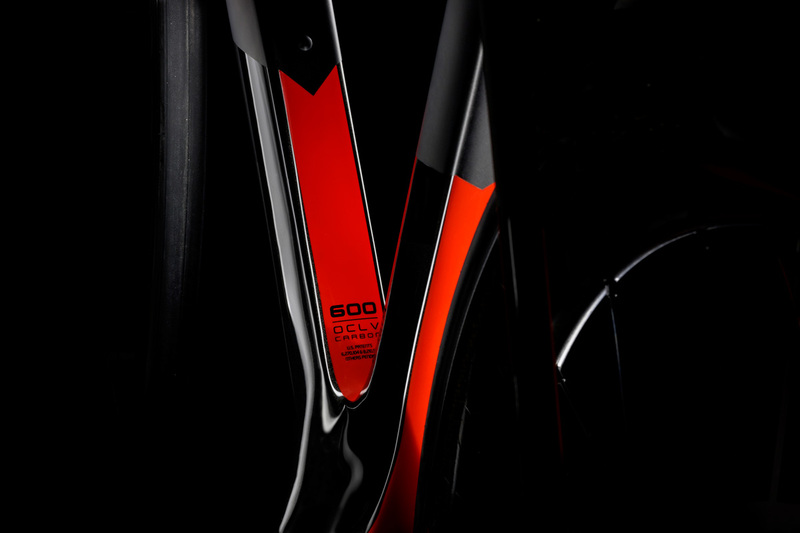 The 9.2, 9.5, and 9.9 all use Trek’s 600 Series OCLV carbon. The 9.2 features a Shimano Ultegra mechanical groupset and Bontrager Paradigm Elite tubeless-ready wheels. It will be available for $6,299. The 9.5 features a Shimano Dura-Ace mechanical groupset and Bontrager Aura tubeless-ready wheels. Upgrading to Dura-Ace sets you back $8,399. The 9.9 is available in both a men’s and women’s design. Both feature Shimano Dura-Ace Di2 and Bontrager Aeolus 5D3 tubeless-ready wheels. The 9.9 will go for $12,599 at your local bike shop. Finally, there is the Madone Race Shop Limited build. This is the same bike used by Trek Factory Racing and is built with 700 Series OCLV carbon. 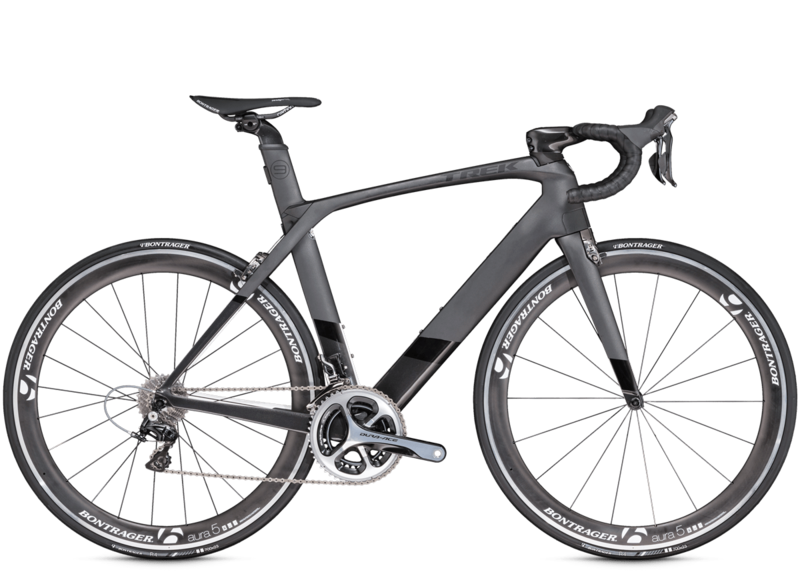 Like the 9.9, it features Shimano Dura-Ace Di2 and Bontrager Aeolus 5D3 tubeless-ready wheels. This top-of-the-line build will go for $16,999. We are big fans of Trek as evidenced by the recent addition of a Speed Concept to our test fleet. So it should come as no surprise that we really want to spend some quality time with the new Madone. Our only reservation is that the integrated bars will most likely not be able to accommodate any type of aero bars. However, for most looking to purchase this bike, that probably won’t be a major issue. 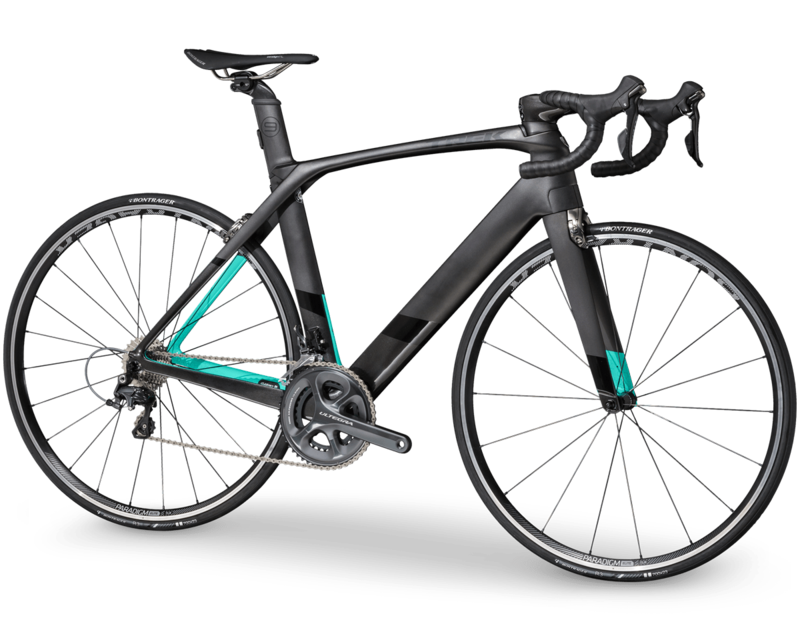 The price is also obviously a big consideration of ours, but we expect that price to come down next year (something we are routinely seeing with other new bikes). Really our biggest question is whether we work with Trek to do a review now or wait until they can do a Project One build to match our Speed Concept. These are the tough decisions we love to make!